Jefferson leads No. 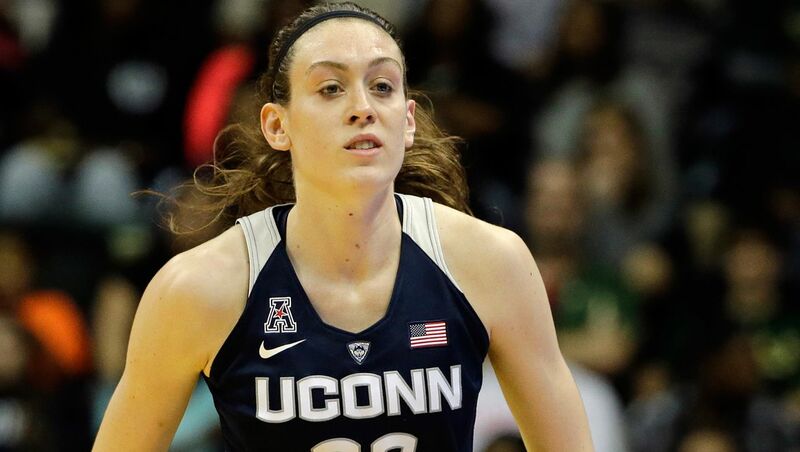 1 UConn in rout of Memphis, 86-46 - Women's College Basketball - Are You Watching This?! MEMPHIS, Tenn. (AP) UConn coach Geno Auriemma wonders whether it helps teams occasionally to lose, particularly his top-ranked Huskies. ''Maybe we need to lose a couple of times just to let everybody know it's not as easy as we make it look,'' Auriemma said. That wasn't a concern Wednesday night. Moriah Jefferson matched her season high with 21 points, Breanna Stewart had 11 points and eight rebounds and UConn remained undefeated with an 86-46 win over Memphis. The Huskies (15-0, 5-0 American Athletic Conference) led by double-digits about 7 minutes in and never trailed. That was a change from recent games, when the Huskies got off to slow starts. Katie Lou Samuelson matched Stewart's 11 points and Napheesa Collier had 10. Jefferson was 7 of 8 from the field and 3 of 4 outside the arc. Ariel Hearn, Mooriah Rowser and Brea Elmore led Memphis (9-8, 3-3) with 12 points each, although Hearn was slowed by foul trouble in the first half. Memphis struggled controlling the ball throughout, committing 26 turnovers, leading to 33 UConn points. Any hopes of competing left quickly. The Huskies pulled away early with a 20-2 run for a 31-8 advantage after one quarter. Hearn, the Tigers leading scorer, picked up her third foul early in the second quarter immediately after connecting on her first basket, a 3-pointer. Memphis didn't score over the final 7:37 of the first half, allowing the Huskies to lead 46-18 at halftime. By the end of the third, the Huskies were up 68-34 and Auriemma sat the bulk of his starters the rest of the game. UConn: The Huskies entered with an average winning margin of 46 points in its previous four meetings against Memphis, including an 87-24 win in Storrs, Connecticut last season. ... The Huskies have won 52 straight overall and 92 straight against unranked teams. The last unranked opponent to defeat UConn was St. John's, 57-56 on Feb. 18, 2012. Memphis: This was the first time the Tigers played UConn at on-campus Elma Roane Fieldhouse. Memphis has twice hosted the Huskies at the downtown FedExForum, home of the Tigers men's team and the NBA's Memphis Grizzlies. ... Memphis had hosted the No. 1 team at the on-campus gym only two other times. The Tigers beat Louisiana Tech 72-69 in 1984 and lost to Tennessee 91-65 in 1998. UConn: Hosts Temple on Saturday night. Memphis: Visits SMU on Saturday.